HA Motorsports custom ECU adapter harness for 92-95 Civic OBD1 automatic with B series engine and auto transmission swap. 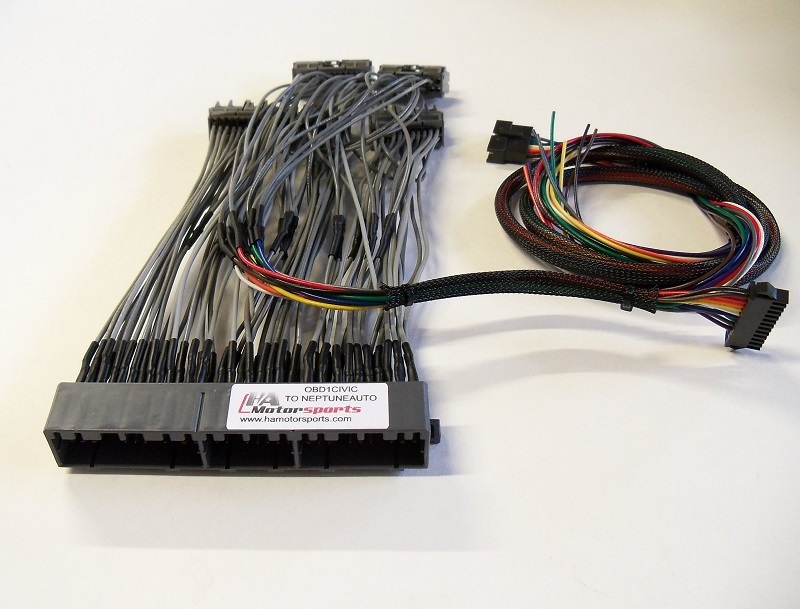 This harness will allow you to install one of our OBD1 auto ECU packages along with our OBD1 auto transmission control unit for use with an automatic transmission B series engine swap. This harness is made with all OEM connectors and pins for OE quality fitment and reliability. The stock 92-95 civic with automatic transmission uses an ECU that controls both the engine and transmission. Unfortunately, if you try to chip or modify this ECU you will loose your automatic transmission functions. 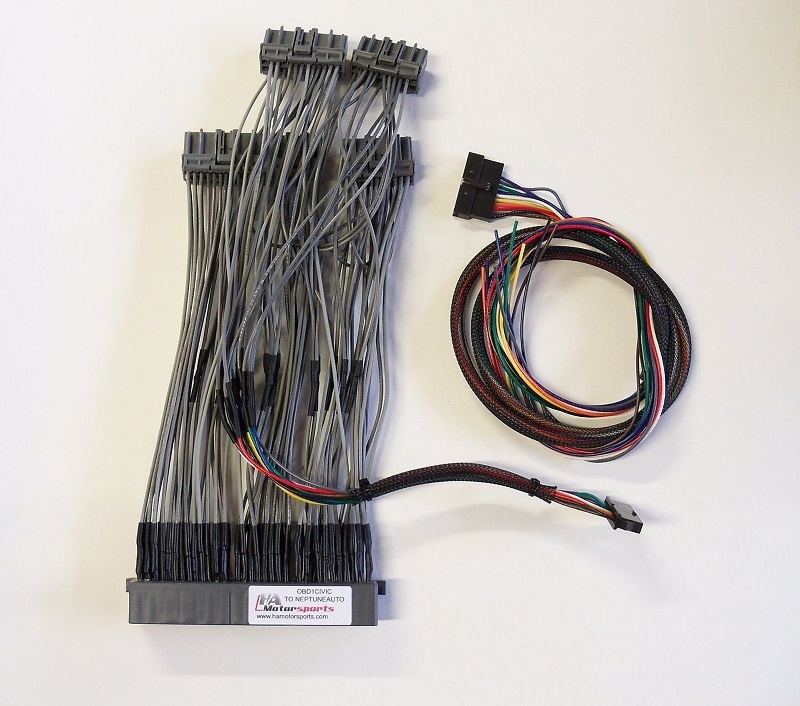 By using this harness along with one of our OBD1 auto ECU packages, you can use the separate transmission control unit to control your automatic transmission to successfully tune your engine while retaining automatic transmission functions. * Works only with our OBD1 Auto ECU Packages. Will not work with any other ECU or tuning setup. * Must use either our OBD1 P78 auto transmission control unit or equivalent.